Stacey Thomson, wrote in The Guardian (29 September 2018): “Two years ago I had to leave a job I loved. Since then I’ve had to fight for my rights in a social system that fails sick people.” This is her story, and the story of thousands of others forced to endure a similar experience. Stacey’s background is as an artist and writer. 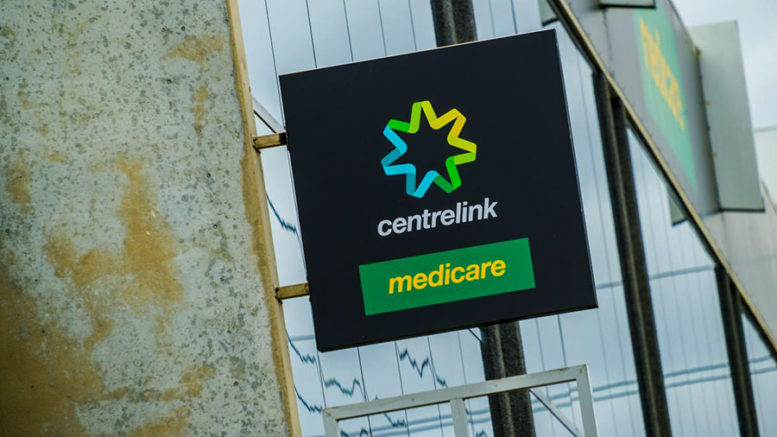 Access cuts to the disability pension have made Centrelink hostile territory for those with chronic illness or disability. I know. I’m one of them. 29.53% of applicants gained access to the Disability Support Pension last financial year. The government wants you to consider this a win. But cutting access to the DSP doesn’t mean those who’ve been rejected are working. It means they’re on Newstart, an allowance that’s fundamentally unable to support those with disability or chronic illness. I cried as I walked home. It wouldn’t be the last time. I have endometriosis. You might have heard of it, particularly with the recent publication of the national action plan for endometriosis. I share the condition with around 700,000 Australians but symptoms vary. Some with endo live relatively functional lives. Others, like me, have a landmine go off in our pelvis that takes our whole body down with it. In 2016 I left a job I loved because I was too sick to work. I then did what many sick people do: I sought help from Centrelink. My first Newstart claim was rejected due to a paperwork error. The 21 days spent appealing that decision foreshadowed the next 17 months of my life. If you’re on Newstart while you’re sick, you can get an exemption from job search responsibilities until you’re well enough to look for work. It’s a good system, provided you’re not sick for too long. After my first doctor’s certificate expired, I attended an employment-ready assessment where my medical exemption was extended while I worked with doctors to get better. Only I didn’t get better. Two surgeries, a truckload of medication, and a bank-draining team of medical professionals later, I accepted my new normal. On good days I can write or even leave the house. On bad days I can’t leave my bed. My really bad days are spent on the shower floor trying not to blackout. The biggest barrier to my finding regular work is I never know what kind of day I’ll have in advance. And if I push myself, I risk bad days becoming bad weeks. Armed with 12 months of documentation and the support of three doctors, I applied for the DSP in August 2017. I was rejected two months later. The rejection gave no specifics, but a Centrelink staffer later told me it was because I’d started seeing a pain specialist and therefore my condition wasn’t “fully diagnosed, treated, and stabilised”. I set about appealing the decision. Then my job search exemption expired. When I enquired about another, I was told I couldn’t get one if my condition was unchanged, even if “unchanged” meant “still sick”. When I asked whether I could submit a doctor’s certificate, I was told Centrelink won’t accept doctor’s certificates for the same condition twice. “Newstart isn’t designed for sick people,” the Centrelink staffer said. If I wasn’t getting better, I should apply for the DSP. I’m supposed to find work for 7-15 hours a week. When I asked about the sporadic freelance work I do I was told that it didn’t count. I was told that freelance and gig work – often the only work flexible enough for those with chronic illness or disability – often isn’t accepted as “work” by Centrelink. They will, however, record your earnings and reduce your allowance. That turned out to be wrong information. I’ve since learned my freelance work does meet Centrelink’s requirements to be counted as work. This is far from the first time I’ve been given misinformation. I’ve been sent to the wrong appointments, forced to chase documentation I didn’t need, told I shouldn’t bother submitting paperwork that would help my situation, and – perhaps the worst part – most of the time the misinformation is corroborated by other Centrelink staffers or their affiliates. It’s exhausting. Meanwhile, my DSP appeal languished for six months before being rejected. When I called the number on the rejection letter, I had a genuinely horrific conversation. The assessor cited the fact I was on medication to suppress menstruation as evidence my condition wasn’t “fully treated and stabilised”. Period suppression is standard practice for those with endometriosis. It’s not treatment, it’s maintenance. I’ll be on medication to suppress menstruation so long as I have my uterus. It’s a shame, the assessor continued, that my doctor won’t perform a hysterectomy. I explained that hysterectomies don’t cure endometriosis but my doctor is willing to perform one if I choose because I’m medication resistant and have adenomyosis. Their response? Because a hysterectomy is on the cards, my condition isn’t “fully treated”. If I appealed further and was successful, I wouldn’t be “allowed” to have a hysterectomy in the next two years. While I was reeling from this, they said unless I’m “running around without knickers and hiding in bushes” then my co-morbid mental illness is also not severe enough to qualify me for the DSP. They didn’t try to assess the impact of my illnesses the way they affect me: cumulatively. So here I am, living on $650.67 per fortnight (after rent assistance) when my medical expenses alone start at $300 a month (post Medicare safety net). I have to find 7-15 hours of work, but I have to fight to have my freelancing count toward that number. I don’t qualify for the DSP but Newstart “isn’t designed for sick people”. And almost one-third of those on Newstart are in my position. The system is failing those it should be helping. But hey, at least the budget’s looking good. 5 Comments on "Surviving on Newstart with a chronic illness is hell"
Disgraceful- NOT Good enough Australia . Stop treating sick people like CRIMINALS!!!! Centrelink are the Criminals with no compassion or commitment!!!!! I was born with a congenital heart condition which required 2 surgeries when I was very young. For many years, I functioned OK, but one of the side-effects of the earlier surgeries is a failing pulmonary valve. As the valve starts to decline, symptoms include fatigue, shortness of breath, dizziness, arrhythmia – which left me too exhausted to work. My doctors and cardiologists were happy to recommend me for DSP, but Centrelink said that because I would eventually undergo open heart surgery for a pulmonary valve replacement, that my condition was not permanent and therefore did not meet the criteria for DSP. Well, my heart condition IS permanent. I’ll need another valve replacement in a few years’ time… but, nonetheless, despite being too unwell to work I was unable to apply for DSP. And because I didn’t have a job to return to due to the length of time I waited for my surgery, I didn’t qualify for Sickness Allowance either. So rather than having to endure further physical, emotional and mental stress of having to deal with Centrelink, I ended up not bothering with it at all (one less “unemployed” person on the books – win for the government!!). Which meant I couldn’t even get a Health Care Card to help minimise my ongoing medical costs – since my partner’s income disqualified me from ANY financial assistance whatsoever. I was fully dependent on my partner for a number of years after depleting all the savings I had. And because I was unable to work, my superannuation has suffered too. The system is badly failing those with chronic illness. In a first world country, this is a bloody disgrace and there is absolutely ZERO reason people like us need to endure such heartless and humiliating treatment when we are already suffering. I have a brother who had to wait nearly six months, with a lot of bureaucracy and mismanagement of information, for his DSP and I worked with many needful people in my community work. The horror stories were and still are, endless. Centrelink is now so understaffed and underfunded that the staff turnover is rapid and the newbies don’t have the time to learn the rules and regulation, so even more misinformation is handed down to already very stressed ‘would be if they could be’, clients It is well past time we demanded a government which governs all Australians, rather than the Board of Directors for the corporations we have now. These clowns need to be removed, post haste. Chronic illness isn’t a circus, and it sure as hell isnt a laughing matter nor are we worthy of condescension by a bunch of idiots being “helpful.” Those pencil pushers don’t even try.